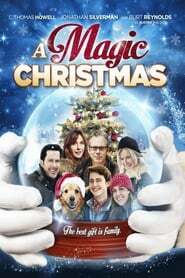 Jack Carter, a man constantly living in a state of regret, takes his technology-obsessed family, including their lovable dog Buster, on a Christmas vacation to the mountains in the hopes of reconnecting with them. While on vacation, Jack and his family run into an estranged, uber-competitive friend of Jack's, who now lives the life of luxury Jack pines for. Through a series of juvenile competitions, Jack realizes that the love of his family is more rewarding than anything money could buy.